*EDITOR’S NOTE: This article was written during the beginning of the Church Committee investigating illegal activities by the CIA. This article contains Col. Lucien Conein’s statements to members of that investigation committee. …Lucien Conein at age 17 fled his hometown in Kansas to join the French Foreign Legion during World War II. He would be recruited into the OSS in France where he lived and fought with the Corsican Mafia as part of The Resistance. The Corsican Brotherhood is an underworld organization deeply involved in the international drug trade which proved to be sometimes more dangerous than their Sicilian counterparts. 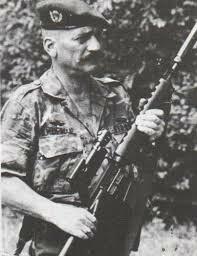 After the liberation, Conein parachuted into Vietnam to join the OSS Team fighting the Japanese alongside Ho Chi Minh and General Giap. In 1954, he was back in Vietnam fighting his old allies as one of General Edward Lansdale’s Special Forces Team. He helped President Diem consolidate power in Vietnam, but in 1963 he was Henry Cabot Lodges’ liaison at the US Embassy along with the cabal of generals who murdered him. Although Conein married a Vietnamese woman, and was on intimate terms with most of the Vietnamese high command, he was sent back to Washington as most in the CIA considered him ‘unstable’. He soon returned to Vietnam as part of an elite counterinsurgency team which included Daniel Ellsberg. It was this association which brought him to the attention of E. Howard Hunt at the Nixon White House, who knew Conein from OSS and Operation Jedburgh. Hunt consulted with Conein regarding forged telegrams he had produced implicating that Kennedy had ordered the assassination of Diem. For his complicity, Conein was rewarded with a high ranking position at the Drug Enforcement Agency as its liaison to the CIA. He would eventually be promoted to Head of Special Operations of the Strategic Intelligence Section of the DEA. Conein, when questioned about his activities, was called upon a remark made about the BR Fox Catalog of military assassination equipment indicating that the company was owned by Mitch Werbell…Conein went on to claim that BR Fox was legally licensed and doing work for the US government. In reality, BR Fox was part of the government, an appendage of CIA agent Bernard Spindel, who had worked closely with Jimmy Hoffa. In 1974, the BR Fox Company shared an office with Mitch Werbell in the La Salle Building on Connecticut Avenue in Washington DC. This was during the period that Werbell was negotiating an arms deal with Robert Vesco, a fugitive in Costa Rica. Werbell sold Vesco 2,000 silenced machine pistols but was unable to secure an export license, instead agreeing to build an arms factory in Costa Rica. Werbell reportedly transferred the arms shipment to 12 CIA agents who were used by Conein to conduct paramilitary operations against ‘drug smugglers’. On January 21, 1975 Senator Weicker and I interviewed Col. Lucien Conein who is currently the head of special operations of the strategic intelligence section of the Drug Enforcement Agency. Conein said that he retired from the CIA in 1968. In 1969, he went to South Vietnam on his own where he tried to make some money through his connections. Being ‘unsuccessful’ he returned to the US in early 1971. He went to France with his wife for six weeks and returned in April of 1971. Upon his return, he was contacted by the White House regarding his knowledge of opium in Southeast Asia. Egil Krogh was the first person to talk to Conein about this, he asked him about the drug situation and what he would do if he had the responsibility to run counter-operations. Conein prepared a paper in response, outlining his actions and ideas to Krogh. Krogh asked Conein to set up a drug intelligence organization, explaining that while the White House was receiving input from Customs and the Bureau of Narcotics (BNDD) that he wanted an outsider. Conein wrote a second brief stating that trafficking organizations had to be penetrated using the same clandestine means employed by the CIA in Southeast Asia. Conein then received a call to discuss issues further with E. Howard Hunt in early July of 1971. Hunt guaranteed that Conein’s orders would come directly from the President and be under the legal protection of Executive Privilege. Hunt interviewed Conein at the White House and asked him about Daniel Ellsberg who had worked with him in Vietnam was creating a stir with the Pentagon Papers. 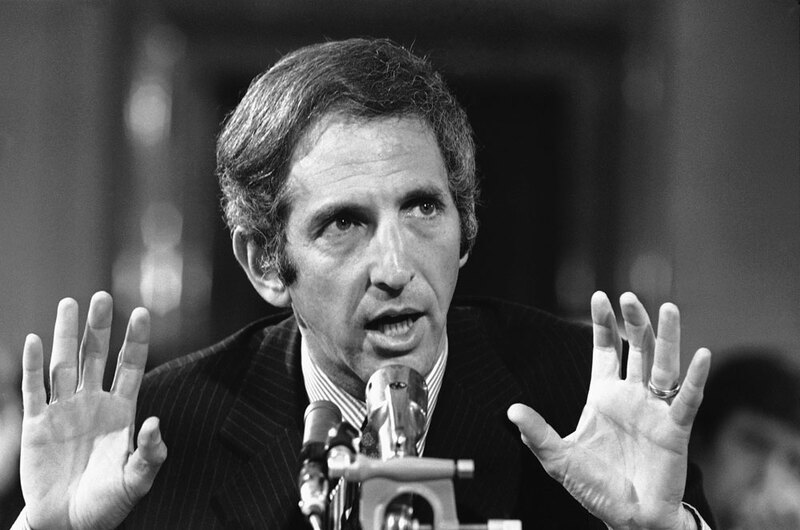 Conein said that Ellsberg was thought very highly of, so much so, that he was recruited into Ambassador Porter’s staff. Conein said that he was surprised when camera crews arrived at his house following the release of the Pentagon Papers. Conein said Bill Gill of ABC handed him a copy of the New York Times and had underlined Conein’s name in numerous places. Conein told Gill that he could not speak with him because of the security requirements placed upon him by the CIA. Gill then told Conein that he would contact the CIA to obtain permission for Conein to talk. The CIA told Gill that Conein’s information was classified. Conein denied direct contact with Kissinger although he admitted to frequent contact with his aides. He said that he knew Haig from Vietnam and knew John Lehman as well but that others ‘he couldn’t remember or recall’. Conein admitted that Hunt called to verify the conversation with the press and that the CIA had arranged to meet him for debriefing at a local bowling alley. Conein alleged that he was given an envelope with $500 inside with $20 denominations. He scoffed at the amount and reportedly mailed back the envelope with the money to Langley signed ‘Luigi’. Conein claimed he was contacted by the media again for an NBC white paper being developed on the Diem coup. Conein was told by the White House that they were interested in seeing him interviewed, in particular to relay the prepared information by Hunt as to how they wanted to put Diem’s death on Kennedy. Conein refused, stating that his only interest in the story was to illustrate what the CIA had done to prevent the assassination and that he believed that his interview in December of 1971 did not come out the way he thought it should have. Conein stated that he was invited to the White House by Krogh in January of 1972, to receive an offer for paid intelligence work. It involved papers and advisement relating to international drug trafficking. Krogh told him after the work was concluded that he could not be kept at the White House but could be transferred into Customs or BNDD. He became a consultant for BNDD Intelligence in June of 1972 until he received a permanent position in December of that year. Conein denied meeting Charles Colson or John Scalin. He said he had learned of Colson posing as ‘Fred Charles’ as a result of the Watergate testimony. Conein never denied seeing the forged cables produced by Hunt that implicated Kennedy. He said that all cables had been classified Top Secret and could not read all of them because of his security clearance. Conein saw the rest of the cables when approached by them with Steve Lambert from Life Magazine. He said after reading those cables he ‘realized he had been played for a patsy by Henry Cabot Lodge’. Conein said that after he saw that he went home and called Colby at CIA on a secure phone, told him about the cables and what they implied. Colby said that he had never seen the cables either. Conein said the cable showed complicity of the White House in instructions to Lodge to have Diem assassinated but that they may not have been ordered by the President; Conein cited that Lodge’s communique at 6 am was unlikely as Lodge was never awake at 6 am. Conein said that the BNDD-CIA agreement was terminated in July of 1973 and that he never met Ehrlichman. He stated that after Nixon’s big meeting on narcotics in 1972, the CIA formed a narcotics unit to coordinate intelligence activities. He said that, for example, the CIA in Laos in 1971 were not concerned about drug trafficking and that action was required when Nixon stepped up efforts on international trafficking. Coordination was required so that the President’s initiatives wouldn’t catch the CIA off guard. Krogh was the coordinator at the White House and chaired the oversight committee responsible for overseeing the operations. At BNDD (now DEA) Conein worked in strategic intelligence. His job was to start assembling the necessary information to develop patterns for drug trafficking organizations. At DEA he now heads up the special operations section which involves training individuals to go into a country to gather intelligence on drug trafficking operations. Conein said the DEA man will establish the operation, the host country will approve and that they will go in-country to train the host countries authorities. Conein said that this involves recruiting in-country nationals and supplying and training them in the use of advanced weapons, electronic bugging and surveillance equipment. Conein specified that he had three men on his staff and 14 individuals in various stages of training. When Sen. Weicker showed Conein the BR Fox Company catalogue, Conein made an outright comment about Mitch Werbell. He mentioned using bugging devices from Werbell overseas. He stated that Mike Morrissey of BR Fox made such equipment and that he often showed Conein his surveillance and assassination equipment for sale. Conein denied knowing Bernard Spindel but admitted to knowing his wife, he denied ever purchasing anything from Spindel or Werbell. Weicker stated that he believed Morrissey was making the equipment directly for Conein, of which Conein denied and said he would swear under oath. Conein denied ordering the ASTRO series from Werbell, Morrissey or Spindel but that in April of 1974, he ordered bugging and surveillance equipment for use overseas, including 6 modified telephones. He claimed that he never used any of the equipment despite its purchase. He admitted that he first met Morrissey in 1973 and that Morrissey wanted to sell weapons to the Justice Department, Conein stated he was more interested in surveillance equipment. He denied meeting Morrissey on more than four or five occasions. He said that DEA ordered the equipment for him but that they did not use Werbell after that because delivery had been late. Conein admitted that he knew Mitch Werbell previously from working together at OSS China. He said that Werbell was an arms manufacturer and that he had been to his training camps in Georgia. He said Werbell was a big ‘wheeler dealer’ and had wanted Conein to go to London to discuss importing ‘scrap’ from Vietnam. Conein said Werbell had thousands of weapons and that he specialized in making silencers for various machine guns. Conein then denied that Morrissey had showed him the assassination equipment, implying Werbell and that the equipment was superior because it was electronic. Conein commented that Werbell was ‘once CIA, always CIA’. Conein then explained to Senator Weicker that he should ask for an FBI investigation and he would voluntarily take a polygraph. He said that Werbell’s company wanted to sell him the equipment because they thought he was still deeply tied into the CIA. Weicker then asked Conein why he did not launch an inquiry after seeing the assassination equipment; Conein replied that BR Fox was legally licensed and doing work for the government. Conein said the only agency that would be interested in the ASTRO line was the CIA. Conein said that he warned Werbell to not allow the equipment to be sold to organized crime as ‘they would have a field day’. Conein also mentioned that Frank Searle from DEA had attended the meeting.